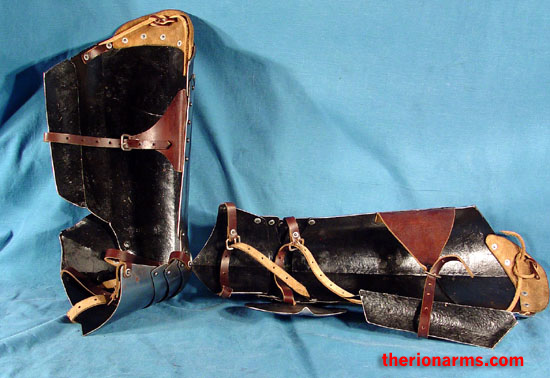 Nine piece articulated Milanese gothic leg harness (including a totally righteous double-plate wrap for back of the thigh protection). 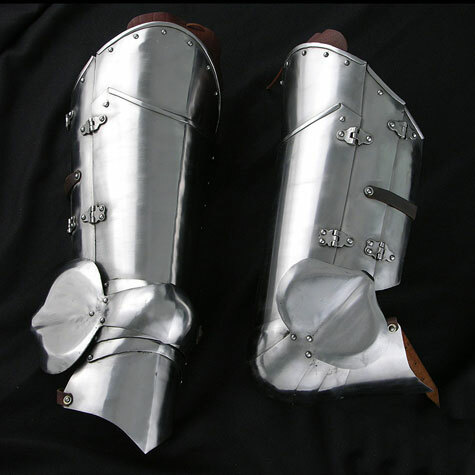 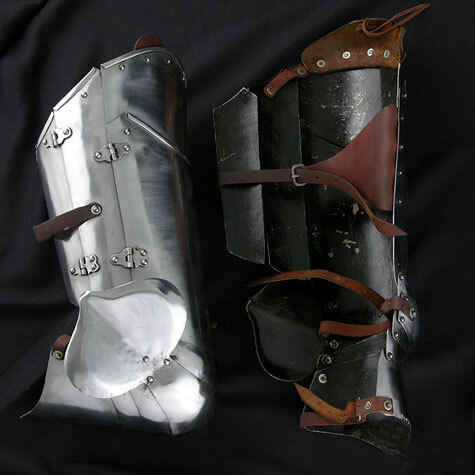 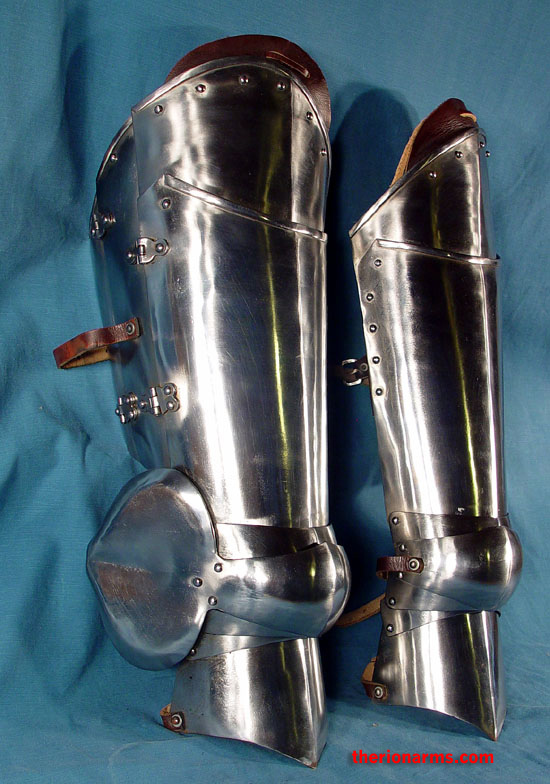 Circa 1440, based on the "Avant" armour which was made at the Corio workshop in Milan and is now housed in the Kelvingrove Museum, Glasgow. 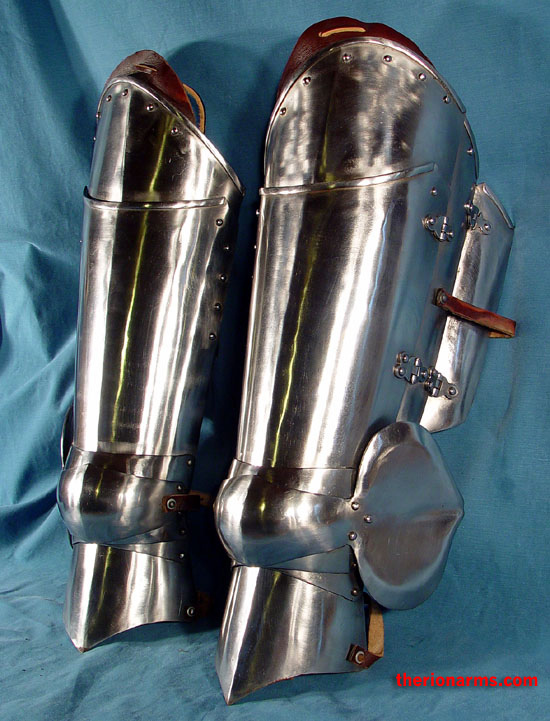 16 gauge mild steel with 14 gauge poleyns (knee cops). 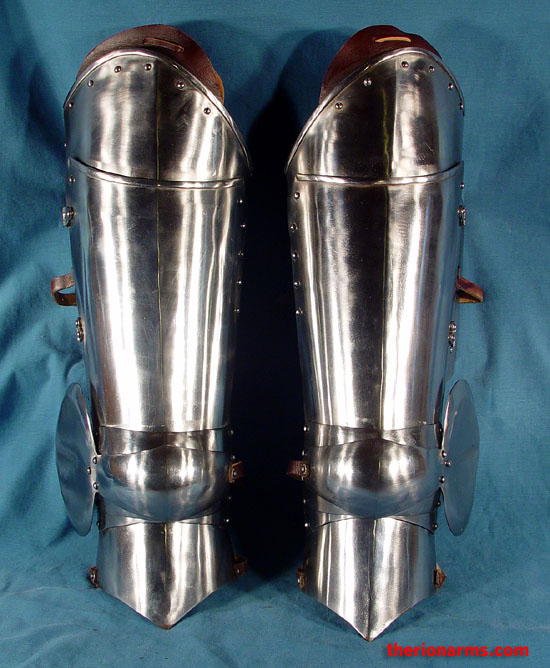 Total length, thigh to shin: 23 1/4"
Thigh to knee length: 15"
Mid thigh: 22" - 29"
Upper shin: 16 - 20"